SEE Property Forum is a leading international and Southeast European conference in Bucharest, organized since 2015. Real estate executives from Romania and the SEE region. Investors from Western Europe. Presentations, panel discussions, networking opportunities. The conference is organized by Portfolio Conferences in association with RICS. 50 speakers, more than 200 visitors. Property Forum is a leading event hub of the CEE real estate industry with nearly 10 years experience. We organize real estate focused conferences, business breakfasts and workshops in London, Vienna, Milano, Germany, Bucharest, Budapest, Belgrade, Bratislava and Prague. We strongly believe the principles that made our conferences successful: the inspired format, the quality of content, the commitment to seek out the most interesting and most inspiring speakers in the industry and let them share their knowledge and passion. We have a deep understanding and knowledge of the drivers that affect the European property industry. Bio: Adrian Erimescu, entrepreneur from Timisoara, is the co-founder and CEO of Imobiliare.ro – the leading property website in Romania and one of the most successful online projects in the country, with over 1.4 million monthly unique visitors and a network of over 4,000 real estate brokers. Adrian is also the initiator of the Real Estate Professionals’ Club (Clubul Profesionistilor in Imobiliare), an online and offline community of real estate brokers active in the residential market from Bucharest, Timisoara, Cluj-Napoca, Iasi, Constanta and Brasov. Bio: Graduate of the Istanbul Technical University, with a MSc. in Civil Engineering, majored in Construction Management, Ergun Ergen, shaped the Romanian real estate market for the last 18 years with projects like the first modern shopping center in Romania, Bucuresti Mall. He has managed a total of €250 million development budget and also operated approximately 180,000 square meters (GLA) of commercial real estate. As founder of TBE Business Solutions, Ergen is set to transform the landscape both locally and nationwide, due to his innovative management techniques, his 360 degrees focus and commitment to building long lasting lifestyle destinations like Coresi Shopping Resort in Brasov, and many others projects in Romania and abroad. Ali Ergun Ergen was also Chairman of ICSC Romanian National Committee (2008-2011) and part of ICSC European Advisory Board. 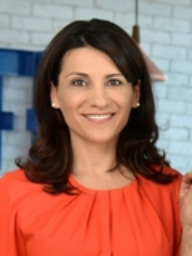 Bio: Mrs. Dumitrache is a Romanian native with extensive experience in real estate and finance. She built a successful carrier in banking with a long term focus on real estate. During her career, while she worked at the largest bank in Romania which was the primary underwriter of real estate finance in the country, she has acquired strong market knowledge, cooperating with top developers in CEE and becoming one of the most respected professionals in the industry in the country. Mrs. Dumitrache will be responsible for funding, finance & accounting, focusing on business development in particular, and will support the overall operations of CTP in Romania. Her target within CTP will be to replicate her success in the banking industry, bringing strength and professionalism to the team, creating bridges with partners and supporting the dynamic growth of the company. She believes that a champion will always be a champion with the right support, and says her decision to join CTP in a new career was quite easy. Bio: Andreas is Chairman Central & Eastern Europe, CBRE. He manages and coordinates CBRE offices in the region. Andreas has extensive real estate knowledge, particularly in the investment market. He combines this experience with a particular focus on every client’s business needs. Prior to joining CBRE, Andreas worked for Bank Austria/Creditanstalt. He was involved in the bank’s real estate investments and real estate development projects in Austria. Andreas joined CBRE in 1991 as Managing Director of the newly founded office in Austria. In this role, he has first established the Vienna office and later the CBRE network in Central and Eastern Europe. Bio: Mr Andrei Vacaru is responsible for sourcing and executing investment transactions in Romania. He provides advisory services for disposals and acquisitions, portfolio transactions, as well as financing deals, throughout the entire transaction process. Experience Mr Andrei Vacaru has almost 11 years’ experience on the Romanian real estate market which spans over different segments including capital markets, consultancy, retail leasing and retail tenant representation. He joined JLL in May 2007 as Senior Consultant in the Retail Department. He then managed the Retail and after the Research and Consultancy departments. He worked with clients such as: AFI Europe, AEW Europe, PPF, Atenor, GLL, Logicor, Argo, Bluehouse, Raiffeisen Evolution, P3, Sonae Sierra, EBRD, BCR (Erste Group), Elliott Advisors, Echo Investment, Liebrecht & Wood, Immobiliare Grande Distribuzione (IGD), GTC, Baneasa Investments, TriGranit. Since joining the Capital Markets Department in 2014, he participated in deals totaling approximately €578 million. His most significant track record includes the deals of Promenada Mall, Bucharest (€148 million sale on behalf Raiffeisen Evolution), Europolis Park, Bucharest (over €100 million acquisition on behalf of P3), Victoria Center, Bucharest (€27 million office sale on behalf of Bluehouse), Floreasca Park, Bucharest (over €100 million office acquisition on behalf of GLL), Prologis Bucharest (€39 million sale on behalf of Prologis) and Immofinanz industrial portfolio in Romania (over €40 million on behalf of Logicor). In 2015 Mr Andrei Vacaru has temporarily relocated to Warsaw, Poland, to work alongside the CEE Retail Capital Markets team. 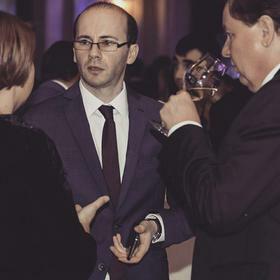 Bio: Managing Director for VASTINT Romania since 2009, Antoniu Panait has an executive experience of more than 10 years, mainly in real estate. With a strong foundation, built on legal studies, embracing diverse operational responsibilities including administrating complex portfolios and evaluating investment opportunities, at only 31 years old he took the challenge to build and grow the VASTINT team and projects in Romania. 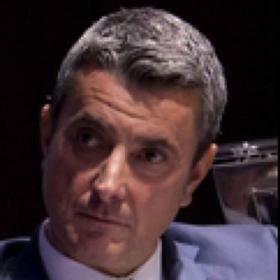 Antoniu Panait is now in charge of a portfolio of three major projects in Bucharest. Timpuri Noi Square is located in district 3, with up to 100,000 sqm of Class A office and retail as well as 50,000 sqm residential space planned, and Business Garden Bucharest, located in district 6, will bring up to 43,000 sqm of Class A office and retail space to the market. VASTINT has also acquired a 48 Ha site in the Sisesti area, in close proximity to the Straulesti terminal, with a subway station and park-and-ride facilities, with a view to develop a mixed use, primarily residential development. Bio: With 10 years experience in commercial real estate and passionate about retail, Carmen coordinates the Retail Leasing for the CBRE mandates, counting 300 000 sqm in 7 properties. With 250 deals signed in 2016 by the leasing team comprising 12 talented people, Carmen and CBRE leasing team succeeded to deliver the most important Retail projects opened in 2016 in Romania, Parklake and Veranda. Carmen has previously worked with most of the brands in the retail industry; amoung them - H&M, C&A, LC Waikiki, Nespresso, Decathlon, Starbucks, Jysk, World Class, Adidas; with and clients like Immofinanz, AEW Europe, Pradera, Carrefour, Sonae Sierra, Argo Capital, Revetas Capital. Bio: A graduate in Hotel, Catering & Institutional Management from Brighton University, and a Fellow of the Institute of Hospitality (FIH). With almost 35-years of hotel & catering experience in operations, consulting and business development, Darren joined the Carlson Rezidor development team in Moscow in March 2006. 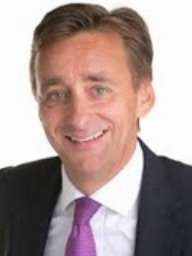 Previously engaged with Starwood, De Vere, Forte, Renaissance, and IHG in the UK, USA, Bermuda and Hong Kong he initially worked in Eastern Europe in May 1992. Since he has resided the past 25-years in Russia, Azerbaijan and Ukraine. The Carlson Rezidor Hotel Group have 1,400 hotels in operation and under development, with a global footprint covering 115 countries and territories. Within Eastern Europe Carlson Rezidor manage 100-hotels with over 23,000-guestrooms open and in operation including the Radisson Blu Hotel Bucharest and the Park Inn by Radisson Bucharest. Bio: David Hay joined AFI Europe in March 2006 as business development manager and in 2007 was appointed as AFI Europe’s regional Director for the CEE. In 2009 David was appointed as CEO of AFI Europe Czech Republic, Germany, Hungary and Latvia and in 2011 as AFI Europe’s CEO in Romania David brought with him over 20 years of experience in international real estate development, marketing and management in the US, Africa and Israel where he served as VP of Hail Holdings a listed company on the TLV stock exchange. David graduated from Buckingham University with an LLM in Commercial law. Bio: Elina Grigoriou is a London-based Interior Designer and Sustainability Expert who passionately believes that "fashionable" and "green" need not be mutually exclusive. With particular expertise in sustainable interior design for the commercial sector, Elina's work ranges from corporate offices to business clubs, restaurants and car showrooms. Specific projects have included designing a Training Centre and main base facility for Virgin Atlantic, as well as the flagship for The B.Hive Club in Covent Garden, London and Starwood Hotel & Resorts Trade Show 2012Concept in Berlin, Germany (2013 Sustain Award Finalist). Prior to setting up her own practice in March 2009 with her sister Angeliki, Elina worked at PDP Group for 7 years and 2 years at careyjones interiors as a senior Interior Designer. A leading industry figure in interior design and environmental change, Elina is a RICS Accredited SKA rating assessor, and her support and technical involvement in the SKA rating initiative has been instrumental in bringing the system into effect. 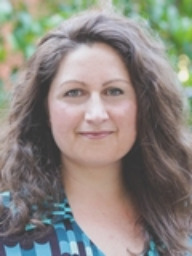 She represents GI as a RICS SKA Development Partner, is the Technical Editor, and chairs the Technical Committee, in addition to advising on its future development and international expansion. Voted one of the Top50 Rising Stars of Sustainability in Building magazine (March2012), Elina raises awareness of good design, wellbeing issues and sustainable practice to the industry through articles, cross industry debates, award ceremonies and speaking at events in addition to her own company’s work. Recent significant industry contributions include the 2014 WGBC report ‘Health Wellbeing and Productivity in Offices” and a 2014 FGF white paper ‘Wellbeing Matters; assessing views on the impact of the built environment on wellbeing.’ In March 2013, Grigoriou Interiors co-founded the Feeling Good Foundation with The Building Centre Trust following on from Elina’s efforts to raise awareness around the impacts of the built environment on wellbeing. Elina contributes to and chairs numerous industry events and workgroups on wellbeing in the built environment, in addition to guest speaking in conferences and private organisations. Bio: Gijs Klomp is currently working in the transaction department of NEPI covering the CEE markets. Gijs Klomp is a Dutch citizen and specialist in real estate management, who attended the Eindhoven University of Technology in The Netherlands. He had his first contact with the Romanian market back in 2000, during his internship and at "Ion Mincu" University of Architecture and Urbanism in Bucharest. Upon graduation in 2002, he joined ING Real Estate Investment Management in The Hague as a Research Analyst, covering the Dutch real estate market. After 3 years, Gijs Klomp relocated to Prague, taking over the CEE Research role. He was involved in numerous acquisitions and attained capital markets and property valuation proficiency. In 2006, Mr. Klomp set up the ING Real Estate Investment Management business in Romania, moving to Bucharest, where he lived for two years. He was responsible for sourcing investment opportunities in the office and retail sectors and as such explored several acquisition possibilities throughout Romania. ING Real Estate Investment Management (ING REIM) was bought in 2011 by US property company CBRE, and became CBRE Global Investors, while Mr. Klomp was promoted to CEE Transaction Manager. Starting May 2013, Gijs Klomp joined Jones Lang LaSalle in Romania as Managing Director, after 11 years spent in ING REIM and subsequently CBRE Global Investors. In early 2015, Mr. Klomp returned to CBRE head CBRE’s Romanian capital markets practice and later also became head of capital markets CEE. As of July 2016, he moved to New Europe Property Investments (NEPI), a public property company that specializes in retail real estate to become part of their investment team. NEPI is the largest retail property landlord in Romania and is expanding its geographical coverage through investments in the Czech Republic, Serbia and Slovakia. Also other CEE markets are currently being targeted. Bio: Ilinca is an entrepreneur with 18 years of experience in business and real estate consultancy. She joined Colliers in 2000, after previously being involved in the development of the first shopping center in Romania. Since then, Ilinca has had a significant contribution to the growth and sustainability of Colliers International in the Romanian real estate market, widely recognized through its thought leadership, innovation spirit and its leading position among real estate consultancy companies. As the Managing Partner of Colliers International Romania, Ilinca has been driving innovation processes throughout all company levels, guiding some of the major company initiatives and landmark transactions in the market. With Ilinca as ambassador, in 2013, Colliers International Romania was the first company in the region to create and propose companies a new style of working, under the form of a prototype of the Generation Y Office. Bio: Ingo Nissen joined Sonae Sierra in 2000, when the company began its operations in Germany. In 2007 he was appointed Director of Developments in Romania, with particular responsibilities for the shopping centre development activities in that country. Ingo has a degree in Civil Engineering from the Technical University in Braunschweig. He gained his PhD at the Tachnical University in Munich. Bio: Kazimierz Kirejczyk is the co-founder and president of the Board at REAS advisory company, serves as its key analyst and comments on the developments taking place on the housing market in Poland. He is one of the leading experts on the housing market in Poland and has supported its development since early 1990s. He graduated from the Faculty of Architecture of the Warsaw University of Technology, where he was a lecturer for a few years. He is also professionally involved with the PP PKZ state-owned enterprise engaged in conservation of historical monuments and runs his own design studio. Between 1991 and 1997 he participated in an advisory programme of the World Bank, USAID and the Ministry of Construction, aimed at supporting the reform of the housing sector in Poland. The programme involved, among all, coordinating a team of consultants advising the first Polish developers on preparing residential projects. He broadened his knowledge of development processes and financing projects at Bausparkasse Schwaebisch Hall and Wharton Real Estate Center at the University of Pennsylvania. For several years Kazimierz Kirejczyk has been giving lectures and training on financing residential projects and the development process. He is also the author of tens of articles in specialist press as well as a number of trade publications offering analyses of the housing market in Poland. Since June 2015 he has been sitting on the Warsaw Architecture and Public Space Council, an advisory body to the Mayor of Warsaw. He is a Fellow of the Royal Institution of Chartered Surveyors (FRICS), a member of the Polish Association of Real Estate Advisers (PAREA), the Association of Polish Architects (SARP) and the Mazowieckie District Chamber of Architects (MOIA). As one of the founders of the European Property Institute, he continues to sit on its policy council. Bio: BNP Paribas Real Estate has been joined by Mateusz Skubiszewski, who has assumed the position of Director in the Capital Markets Department and advises clients already present on the markets in this part of Europe, as well as those only now seeking investment opportunities in this area. 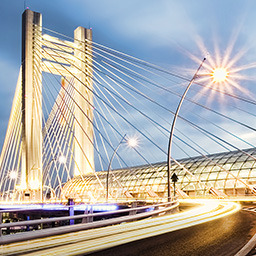 The Capital Markets Department in Central and Eastern Europe provides services from within the field of transaction advisory, which covers individual property and property portfolio acquisitions and sales, as well as in the area of institutional restructuring and property finance. Mateusz Skubiszewski has more than 15 years of experience in key positions within finacial institutions and companies from the property sector. Prior to joining the BNP Paribas Real Estate advisory, he worked for, among others, the ING Group, the mBank Group (formerly BRE Bank), as well as for LHI Group. Mateusz Skubiszewski graduated from the European University Viadrina at Frankfurt. Additionally, he graduated from the Academy of Strategic Leadership organized by the Canadian Management Institute, and partook in a PhD studies programme run by Akademia Przedsiębiorczości i Zarządzania im. Leona Koźmińskiego (Leon Kozminski Academy of Entrepreneurship and Management). Mateusz speaks English, German and French. Bio: Mihai Dudoiu is Partner at Romanian law firm Țuca Zbârcea & Asociații and Head of the firm’s Banking and Finance practice group. He is advising on all legal aspects related to project finance, having acted as the Romanian leading lawyer in transactions with an aggregated value in excess of EUR 3 billion. His professional experience includes acting for local and international credit institutions financing real estate developments (commercial, office, residential and hotels), projects in the energy field with a particular focus on renewable energy (such as wind, hydro, photovoltaic, biomass, biogas and cogeneration), acquisitions and green-field investments in the energy sector. The credit and financial institutions, the investment companies and funds as well as the non-banking financial institutions are among his clients. More recently, Mihai Dudoiu has also specialised in providing assistance in relation to restructuring of non-performing loans, trading of distressed assets and insolvency matters. He is fluent in English. Bio: Oana Iliescu has been the Managing Director of DTZ Echinox since 2010. She joined the DTZ Echinox team in 2004 and has successfully established and managed the retail team which in 4 years boasted over 400,000 sqm of exclusive retail projects. Oana provided retail consultancy advice for dominant shopping centres projects working alongside architects on the optimization of layouts & concepts, determining the correct positioning of the schemes and the most suitable leasing strategies. Oana has been involved in major leasing transactions including six H&M stores, a ZARA flagship store in Sibiu downtown, a Peek&Cloppenburg store in Timisoara Shopping City, a Carrefour hypermarket at AFI Palace Brasov, etc. Oana has been working closely with the Property Management department, being actively involved in the management of projects within the retail portfolio: Iris (Auchan) Titan Bucharest, Sibiu Shopping City, Felicia Iasi, Suceava Shopping city. Bio: Ovidiu Sandor is a Romanian entrepreneur from Timisoara best known for his investments in major award-winning office projects, such as City Business Centre in Timisoara and The Office in Cluj-Napoca. He recently announced a major investment in ISHO, a mixed real estate project with about 1,200 apartments and 50,000 sq m of new generation offices right in the heart of Timisoara. Bio: Customer experience, customer service and customer satisfaction – all of Raluca's career was animated by these approaches of a client driven marketing. She experienced it in retail networks during her 10 years activity as a consultant for the one of the major customer experience management consultancy agencies in France – Qualimetrie. She was able to deploy it directly as a Marketing Project Manager for Coresi Shopping Resort, after joining Immochan Romania in 2013. Thanks to its revolutionary concept, Coresi positioned as a reference for the Romanian retail market and the 8 million visitors the first year after the opening. Together with Immochan's growth as the biggest shopping centres network in Romania (managing 23 centres), Raluca built the B2B2C marketing strategy and team for Immochan, branded as 10xClient (=thanks client) Marketing. She is also at the heart of Retail United, Immochan Romania's initiative for collaboration in retail. Bio: Raluca Munteanu joined the IULIUS Company in 2012, first as Marketing Specialist and then in 2013 was appointed as Business Development Manager. She has accumulated experience in the field of both marketing and retail, working in the shopping center industry over the last eight years. In her capacity as Business Development Manager she helped improve the management activity for the United Business Center office buildings, namely the office component of Palas Iaşi, which includes a total of 70,000 sqm of office premises. Raluca Munteanu’s current role within the IULIUS Company is to facilitate the implementation of numerous group-wide strategic initiatives, as well as to identify new opportunities. She is currently part of the development team working for the Openville Timişoara project, the second mixed-use project in the IULIUS Company portfolio. The project is set to include over 130,000 sqm of office spaces, as well as another 131,000 sqm of retail premises. Bio: Razvan Iorgu was appointed Managing Director of CBRE Romania beginning with April 2011.A graduate of the Academy of Economic Studies, Razvan has a solid experience on the Romanian real estate market, working in this industry for over 10 years. After he graduated, Razvan joined local company Eurisko at that time on a broker position. He gained experience in different segments of the market and was promoted in several positions up to the Partner one. Following the takeover of Eurisko by the real estate worldwide leader CB Richard Ellis group, Razvan occupied the COO position, being responsible for the financial management of CBRE Romania. As MD of CBRE Romania, Razvan is in charge with business administration. He establishes the development strategy and business partnerships and supervises all activities related to new investments, human resources and marketing. Bio: Robert has been part of the Colliers team since 2006 when he started in the Consulting Division. After only two years he joined the Investment Services team as Analyst. Subsequently Robert’s responsibilities developed towards transaction management and negotiations. Post-crisis, Robert and his team in Romania have been market leaders in terms of the number of closed transactions, including: Dacia Warehouse Pitesti (2017), Premium Point and Premium Plaza (2016), Floreasca Park (2015) and Europolis Industrial Park (2015). 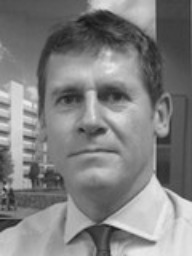 Bio: Robert Neale has worked real estate since 1982 and worked in London and Brussels for Lambert Smith Hampton until 1991. He established Ryden/KFR in Prague then became equity partner of Healey and Baker in 1994. In 1997 he left Healey & Baker o set up the development company Portland Trust, based in Prague. During the past 10 years Portland has had an exclusive JV with the Apollo Real Estate Advisors, now AREA, and is currently in its fourth fund having developed over 300,000m2 of new commercial space. Better known developments include Metropole Zlicin, one of the first non-food anchored regional malls in Prague, Bucharest Business Park which is acknowledged as the first true class A business park in Bucharest. Bio: Mr. Sorin Visoianu is leading as Country Manager Operations Romania for IMMOFINANZ, being responsible, amongst others, of Asset and Center Management, as well as of the local development activity of the company. Sorin Visoianu has been with IMMOFINANZ in main positions since 2009, initially as the Head of Asset Management, then as Country Manager Office & Logistics for Romania and Bulgaria. Prior to that time he served, aside from others, as the Technical Director for Drees & Sommer Romania and the Director of Real Estate Development for River Invest. Mr. Sorin Visoianu has over 19 years of real estate business experience. Bio: Mr Stamatis Sapkas has c.13 years of experience in real estate advisory and investment. He joined Globalworth in 2013 and his current position is that of Deputy Chief Investment Officer. 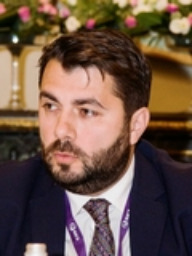 Prior to his current position, Mr Sapkas spent was for c.7 years, a member of Citigroup's Real Estate and Lodging investment banking team based in London (most recently as Vice President) and prior to that he spent approximately 3 years with EFG Eurobank Ergasias (and Eurobank Properties). He has been involved in transactions exceeding a total of €13 billion in M&A, Equity Offering, Debt Financing and NPL in the Real Estate and Lodging sectors and has worked in a number of jurisdictions in Europe, Middle East and Africa. Mr Sapkas holds a BSc in Management Science with Computing from the University of Kent and an MSc in Banking & International Finance from the Cass Business School. 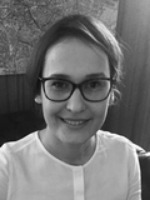 Bio: Timea has over 8 years of experience in real estate consulting services both on local and international level, having advised investors and multinational companies in Romania as well as in Ireland, where she resided for 4 years. The Knight Frank office team where she is a senior member, has been market leader for the past 5 years, having intermediated the most notable and complex transactions on the local market. Timea developed excellent business relationships with the most active developers and commercial property owners on the market and her tenant portfolio includes high profile companies in various sectors such as banking & finance, law, FMCG and IT&C. She is a board member of the Romanian Irish Business Association (RIBA) as she is passionate about the creation of a strong and stable local business environment. Bio: Valentin has over 13 years of experience in corporate finance and strategy advisory. He has joined Knight Frank team in 2014 as Head of Strategic Consultancy and Research. Over the years Valentin developed excellent business relationships with the most representative companies operating in various industries (oil & gas, real estate, food & drinks, IT&C, pharma). Previously, he gained experience in corporate finance services, corporate risk analysis and strategic development. Bio: Răzvan Gheorghiu-Testa is Partner with Ţuca Zbârcea & Asociaţii and head of the real estate practice group, having built up a career of over 20 years of legal expertise in real estate, corporate/M&A, and taxation. He has been directly involved several major projects, including acquisitions and divestments, as well as development real estate projects, including real estate finance. He regularly offers planning advice on investments to major institutional investors, as well as international companies from a variety of industries, such as retail, consumer goods, steel, energy, telecommunications, oil and gas, pharma. 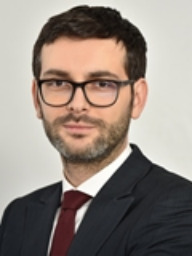 In addition to his role as coordinator of the firm’s real estate practice group, Răzvan Gheorghiu-Testa co-heads the firm’s specialised tax division, Ţuca Zbârcea & Asociaţii Tax SRL. Răzvan Gheorghiu-Testa is fluent in English, French and Italian. 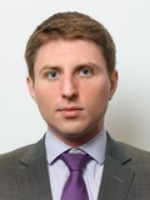 Bio: Dan Bucsa works as CEE economist at UniCredit Bank AG in London. He joined the bank in September 2012, transferring from UniCredit Tiriac Bank (Romania) where he was the chief economist. Dan has five years of experience as chief economist in the Romanian banking system. Before joining the private sector, Dan taught at the Bucharest University of Economic Studies and worked in the Macroeconomic Modelling and Forecasting Department of the National Bank of Romania, where he was involved in developing the forecasting framework used in inflation targeting. Dan holds a Ph.D. in macroeconomics and an M.Sc. in finance from the Bucharest University of Economic Studies, Romania. 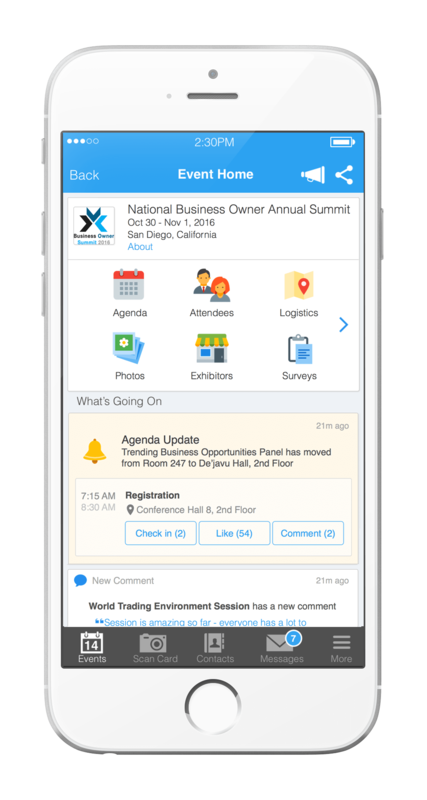 Attendees please download Whova event app, to access the information of all 40 speakers.